Reach new heights in high necked JVN51320. This show stopping sheath features stand out embellishment swirling over the high necked halter top. The sheer bodice and keyhole cut-out in front show off some skin, and the fully embellished back panel is also sheer with scalloped edges. Pin-tuck details on the skirt create a graceful line to the bottom hem. 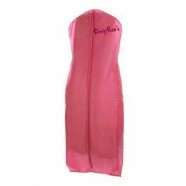 This gown is perfect for your next prom, pageant, wedding, or Sweet 16!